The February spotlight and Klein Cain junior, Madison Strader. 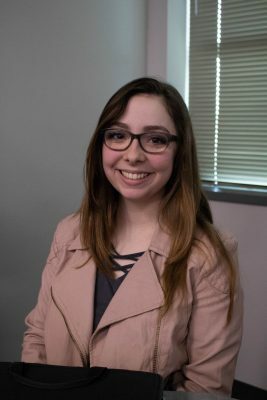 Maintaining exceptional grades, working a part-time job, and keeping track of college classes is all part of Madison Strader’s week. She works tirelessly each day in hopes of providing her best work and keeping a high aptitude. As a junior and sibling to many, she’s learned to stay upbeat and positive no matter what life throws at her. This year, she is taking two dual credit classes which she uses to earn college credit in high school. Her electives consist of choir and child development, which she has repeatedly worked hard for. Besides school, Strader also maintains a part-time job at the popular fast food chain, Chick-fil-A. She receives her schedule at the beginning of each week and sometimes stays there until late at night. Working at Chick-fil-A gives her real-world work experience and provides her with the opportunity to practice time management and social skills. “I work 19-22 hours a week,” Strader said. Strader still has many goals yet to be accomplished. Not knowing what life will throw at her, she’s still considering what she plans to do in the future. What she does know, however, is that she wants to make the most out of it.